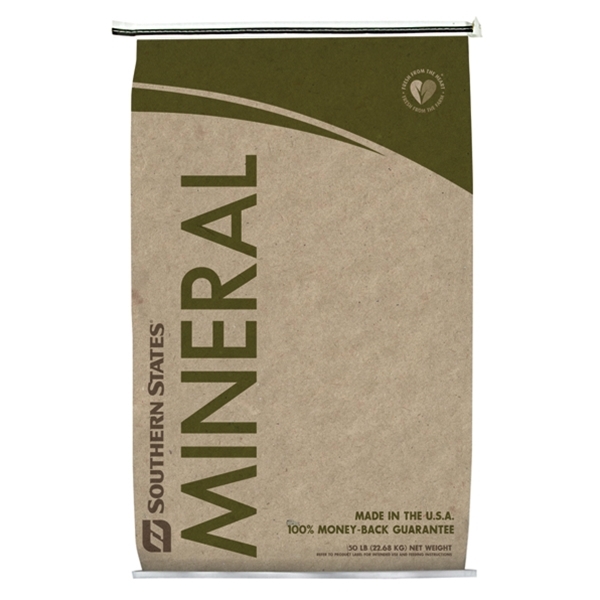 The Southern States Top Choice Goat Mineral is a great supplement for herds feeding on pasture forage or hay. This mineral makes up for what forage lacks by supplying major and micro minerals plus vitamins. Fortified with chelated zinc from Zinpro, Southern States Top Choice Goat Mineral also promotes hoof health and better immune response. Free choice feeding. No measuring, goats adjust intake to forage quality. Contains added copper and selenium. Copper and selenium levels to meet needs of goats. Contains ammonium chloride and 3:1 calcium to phosphorus ratio. Aids in preventing urinary calculi. Free Choice Feeding: Feed at a rate to allow goats to consume 1/2 to 3/4 oz. per had daily. As a Mixing Mineral: Use the following guide to prepare diets for nursing and maintenance does, milking does or finishing kids. NOTE: Do not feed to sheep. Do not permit intake of supplemental selenium to exceed 0.3 ppm in the total ration. Feed with good quality hay at a rate not to exceed 45% of the total ration. Provide clean, fresh water at all times. NOTE: Do not feed to sheep. Do not permit intake of supplemental selenium to exceed 0.3 ppm in the total ration.